Dejan Lovren (born 5 July 1989) is a Croatian professional footballer who plays as a centre back for Premier League club Liverpool and the Croatia national team. He began his career at Dinamo Zagreb before moving to Olympique Lyonnais in January 2010. He spent three-and-a-half seasons with the Ligue 1 team and won the 2012 Coupe de France before he signed for Southampton in 2013. After one season with Southampton, he joined Liverpool for £20 million and has since made over 150 appearances for the club. Having previously represented Croatia at various youth levels, Lovren made his senior debut in 2009 and has since gone on to make over 40 appearances for his country. He was selected in Croatia’s squads for the 2014 FIFA World Cup in Brazil and the 2018 FIFA World Cup in Russia, the latter of which were beaten finalists against France. He was born to Croatian parents in the city of Zenica, SFR Yugoslavia (now Bosnia and Herzegovina). His family fled from Yugoslavia to Munich to escape the Bosnian War when Lovren was three years old, and he spent the next seven years in Germany. Speaking about his time as a refugee, Lovren stated that he was “a happy boy, I spoke German perfectly, I went to school, I played for a little club.” His family, however, eventually had to leave as they did not possess necessary documentation to reside in Germany and settled in Karlovac, Croatia, 50 kilometres southwest of the capital city of Zagreb. Lovren initially found settling in Croatia difficult, and struggled in school for a couple of years due to his unfamiliarity with the Croatian language. His younger brother Davor is also a footballer. Lovren played for local teams NK Ilovac and NK Karlovac as a youth before joining GNK Dinamo Zagreb in 2004. On 10 May 2006, Lovren made his debut for Dinamo in a Croatian First Football League match against NK Varteks Varaždin. On 17 July 2006, Lovren was loaned to NK Inter Zaprešić for two seasons where he made 50 league appearances and scored one goal. Following his return from loan Lovren regularly featured in Dinamo’s starting XI, appearing in 38 matches throughout the 2008–09 season and scoring three goals. In the 2009–10 season, he featured in all four of Dinamo’s UEFA Champions League qualifiers against Pyunik Yerevan and Red Bull Salzburg, and managed to score a header against Pyunik. In January 2010, he signed for French Ligue 1 club Olympique Lyonnais for €8 million plus €1.5 million in incentives on a four-and-a-half-year contract. He made his competitive debut on 24 January 2010 in their 2–1 defeat at AS Monaco in the Coupe de France, playing the full match. His Ligue 1 debut came on 31 January in Lyon’s 2–1 win at home against Paris Saint-Germain, once again playing the full 90 minutes. During the second half of the season, he made 10 appearances, mostly as a substitute. He was not allowed to participate in Lyon’s matches in the UEFA Champions League that season as he had already played in the competition for Dinamo Zagreb. Lovren’s playing time increased during the 2010–11 season following the departure of two other defenders, Jean-Alain Boumsong and Mathieu Bodmer, in the summer of 2010. During the season, he gradually established himself as a first team regular starter, playing as a centre-back alongside Cris as well as being used as a right or left full-back, demonstrating himself as a versatile defender. In November 2010 Lovren was listed in the Don Balón list of the 100 best young players in the world. On 23 January 2012, he extended his contract with Lyon for two more seasons, signing with the French club until 2016. He started for Lyon in the 2012 Coupe de France Final, a 1–0 win over Quevilly, but was substituted after 18 minutes for Bakary Koné. On 14 June 2013, Lovren signed for Southampton on a four-year contract for an undisclosed fee, which was estimated at £8.5 million. Lovren made his debut on 17 August 2013, in a 1–0 win against West Bromwich Albion. He scored his first goal for Southampton against Liverpool at Anfield on 21 September 2013, a goal which proved to be the winner. On 19 October, he assisted Adam Lallana for the equalising goal against Manchester United in a 1–1 draw at Old Trafford. He added a second league goal in a 2–2 away draw against Sunderland on 18 January 2014, but was stretchered off late in the game and required hospital treatment after the match. 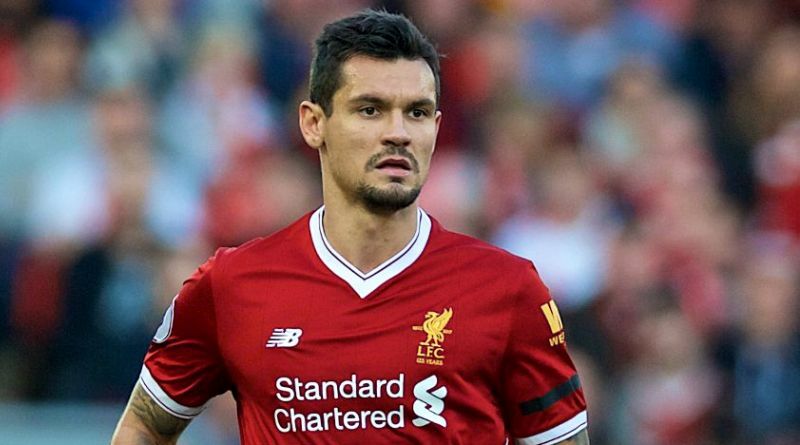 On 23 January, it was announced that along with midfielder Gastón Ramírez, Lovren would be out for six-to-eight weeks with ankle ligament damage. At the conclusion of his first season in the Premier League, Lovren was named in Bloomberg Sports’ Power 50 list, which provides statistical rankings of performances from players in Europe’s top five leagues. Lovren was the fifth-highest ranked player from the Premier League in 31st position. After much speculation regarding Lovren’s future following the departures of Adam Lallana, Luke Shaw and Rickie Lambert from Southampton, the Liverpool Echo reported on 25 July 2014 that Southampton had agreed a fee with Liverpool for the sale of Lovren, who was set to undergo a medical at the Merseyside club after reportedly handing in a transfer request at Southampton. On 27 July 2014, he became the third Southampton player that transfer window to join Liverpool, after Rickie Lambert and Adam Lallana. He signed a four-year deal for a reported fee of £20 million, becoming the most expensive defender in Liverpool’s history. On 10 August 2014 he made his debut in a friendly for Liverpool against Borussia Dortmund at Anfield, scoring the second goal in a 4–0 victory, and made his competitive debut on 17 August in the club’s opening game of the Premier League season, playing the full 90 minutes in a 2–1 win over former club Southampton at Anfield. He scored his first official goal for Liverpool on 28 October, when he headed in the game-winner from a free-kick in a fourth round League Cup 2–1 victory over Swansea City. However, following his poor performance in a Champions League defeat to Basel, Lovren was dropped from the first team. As the last penalty taker, he put his attempt over the crossbar as Liverpool lost in a penalty shootout to Beşiktaş on 26 February 2015 as they were eliminated from the last 32 of the UEFA Europa League. The Telegraph website included Lovren in a feature about the 2014–15 Premier League’s 20 worst signings which remarked on the number of his errors that resulted in opposition goals. Lovren regained his place in the lineup for the first three games of the 2015–16 season and performed well securing three clean sheets and seven points. However, following a pair of defeats to West Ham United and rivals Manchester United in which the defence conceded six goals, Lovren again lost his place to Mamadou Sakho. On 8 November he came on as a substitute for Sakho in a 2–1 defeat to Crystal Palace at Anfield, with Sakho sustaining a knee injury that ruled him out for two months. On 13 December, in a 2–2 draw against West Bromwich Albion, Lovren was stretchered off the pitch in the 79th minute due to injury and was replaced by Divock Origi. The following 14 April, Lovren scored a stoppage-time winning goal in a 4–3 Europa League quarter-final win over Borussia Dortmund. Having endured a difficult start to his career at Liverpool, by the end of the 2015–16 season under Jürgen Klopp, Lovren was described as having transformed into a “calm and composed” leader on the pitch by the Liverpool Echo. On 28 April 2017, he extended his contract with Liverpool, until 2021. On 17 December 2017, Lovren scored his first goal of the season in a 4–0 win over Bournemouth; a result which saw Liverpool become the first team in Premier League history to win four consecutive away league matches by a margin of at least three goals. After Virgil van Dijk’s arrival on 1 January, he and Lovren built a steady partnership at the heart of Liverpool’s defence. On 14 January 2018, Lovren captained Liverpool for the first time in a 4–3 win against Manchester City. On 13 May, Lovren scored his second goal of the season in a 4–0 win over Brighton and Hove Albion, which secured Liverpool’s qualification for the UEFA Champions League next season. Lovren has made 54 appearances and scored six goals for various Croatian youth national teams. He received his first call–up to Croatian national team in August 2009 by manager Slaven Bilić, who included the player in his match squad against Belarus. He was an unused substitute, but still was reportedly delighted with the new experience. He made his debut against Qatar on 8 November 2009, coming on as a substitute for Danijel Pranjić. On 2 September 2011, Lovren scored his first international goal, against Malta in a UEFA Euro 2012 qualifying match. He was included by manager Slaven Bilić in the preliminary 23-man squad for UEFA Euro 2012 but had to withdraw because of injury one week before the tournament. Lovren scored his second goal for Croatia on 26 March 2013 in a 2014 FIFA World Cup qualifying match against Wales at Liberty Stadium in Swansea. It was an equalizer that leveled the match after Gareth Bale had given Wales the lead from a penalty which Lovren conceded. Croatia eventually won the game 1–2. In May 2014, Lovren was named in manager Niko Kovač’s provisional 30-man squad for the 2014 FIFA World Cup in Brazil. In the opening match of the tournament, on 12 June against the hosts Brazil in São Paulo, Lovren was judged by the Japanese referee Yuichi Nishimura to have fouled Fred in the 69th minute when the score was 1–1. A controversial penalty was given, which was converted by Neymar and led to Brazil’s eventual 3–1 win. Lovren’s deteriorating relationship with manager Ante Čačić ultimately resulted in him being left out of Croatia’s squad for UEFA Euro 2016. In May 2018, he was named in Croatia’s squad for the 2018 World Cup in Russia. During the tournament he sparked an incident after he celebrated Croatia’s World Cup victory over Argentina by singing Marko Perković’s “Bojna Cavoglave” in the locker room, a nationalist song adopted by far-right elements in modern Croatia. The song contains the phrase Za dom – spremni! (Ready for the homeland! ), the slogan associated with the World War II-era Nazi-allied Ustashe, though these verses did not appear in the video. He then featured throughout the competition as Croatia reached the final where they lost to France.